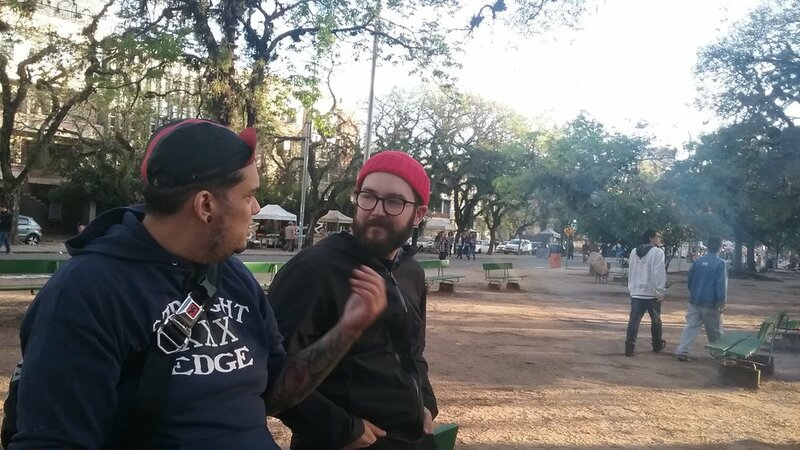 Touring the DIY Punk circuit of Southern Brazil. The skyscrapers of São Paulo are like blades of grass. They stretch upright in every direction, farther than you can see. It’s winter and it’s night time. A line of motorcycles slithers through the sparse traffic on a backstreet of Pinhieros and the moon is behind the clouds. I’m on a street corner at the base of a skyscraper on the top of a hill at a bend in the road. A single motorcycle zigzags up the hill, leans into the turn and disappears into the tall grass, never looking up. Just ahead. This episode of Van Sounds was brought to you by Astray Goods Company -- honestly handcrafted backpacks made to last a lifetime. Search for Astray Goods on Kickstarter to get a pack at an early backer price.